Offering you a complete choice of products which include tantalum liners, tantalum sheet & tubes, tantalum stud, tantalum tubes for cutting tool manufacturing, tantalum grounding rings and grounding rings. Tantalum is the most common repair metal used in glass­lined equipment because its corrosion resistance is very similar to glass. 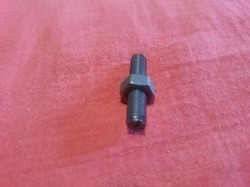 Uniforce manufacture and supply standard Tantalum studs with nuts of following for GLR repair. Specific sizes and length upon request. Tantalum is a shiny, silvery coloured metal which is heavy, dense, malleable and ductile when pure. It is found in small quantities in minerals (generally in conjunction with niobium), and is isolated by conversion to the oxide and then the fluoro-complex, K2TaF7, from which the pure metal is obtained by electrolysis. 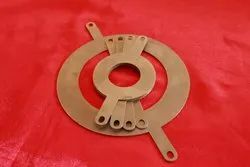 Tantalum is extremely corrosion resistant due to the formation of an oxide film, and is also resistant to acid attack (with the exception of HF). 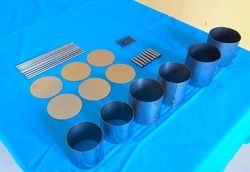 Becasue of tantalum's very unique properties it finds application in cutting tool manufacturing industry. Uniforce is a leading supplier of Tantalum grounding rings and it caters to a major corporates/Multinational companies in India. Our grounding rings perfectly fit between flanges, helping to eliminate unwanted noise and extraneous signals carried in fluids through lined pipes. These rings are available in other EXOTIC materials such as Titanium and Zirconium in both 150# and 300# ANSI ratings. Our Tantalum rings are also available in 1mmstandard thickness as acost-saving measure. 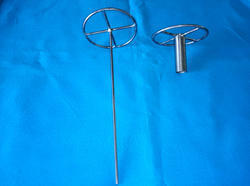 We can offer any style and can be specially fabricated according to the customer's own specifications. SIZES AVAILABLE: DIN15, DIN 25, DIN 40, DIN 50, DIN 65, DIN 80,DIN 100 AND DIN 125, DIN 150 AND DIN 200. 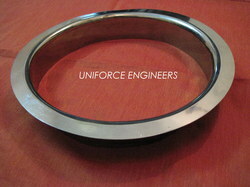 Uniforce is a leading supplier of Tantalum grounding rings and it caters to a major corporates/Multinationals across India. Our grounding rings perfectly fit between flanges, helping to eliminate unwanted noise and extraneous signals carried in fluids through lined pipes. These rings are available in other EXOTIC materials such as Titanium and Zirconium in both 150# and 300# ANSI ratings. 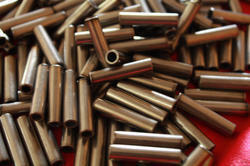 Various sizes and shapes of Tantalum parts supplied to furnace manufacturers. 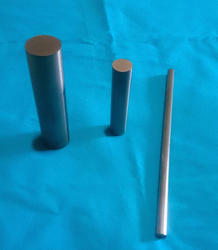 Tantalum Cylindrical Shapes fabricated from thickness range of 0.2mm to 0.5mm. 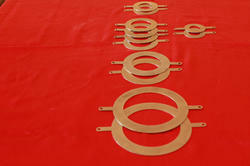 These Cylindrical shapes are mainly used for Furnace Application. As one of the leading suppliers of tantalum Mill Products as well as tantalum semi-finished products and finished parts, Uniforce is a reliable partner for customers in all industries. Our tantalum products are characterized by their consistently high quality and customized application technology support. With our experience and expertise in application technology, we can provide engineered product solutions to meet our customer’s demanding technically challenging and unique requirements. Tantalum's corrosion and temperature resistance property makes it a valuable material in a large number of chemical applications. 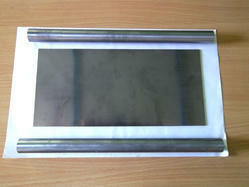 We have supplied tailored tantalum fabricated parts for furnace application.